The 67th Emmy Awards went live last night, and it was a special night for many actors and actresses. 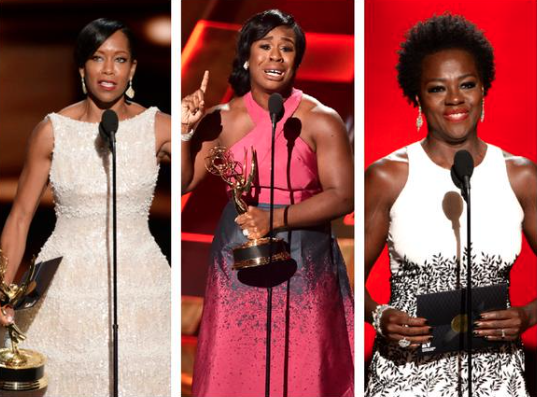 Specifically, it was a beautiful night for black women in the world of television as we were represented well! Will Smith's Birthday Message to Jada is The Cutest!! One of my favorite celeb couples has to be the union of Will Smith and wife Jada Pinkett Smith! Even though for some strange reason people have tried time and time again to separate these two in the media, their love has proven every time that it is alive and well. Tamar better get this coin honey! I feel like this chick is everywhere right now, and whats crazy is she hasn't even really began the real album promo run. 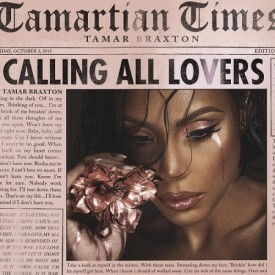 She recently revealed the cover art (above) for her new album, Calling All Lovers which was set to drop this month. It's been pushed back a little, but that isn't stopping Tamar from giving her Tamartians the attention we are all craving. From Dancing With the Stars, to Braxton Family Values, and The Real.. this baby is everywhere! 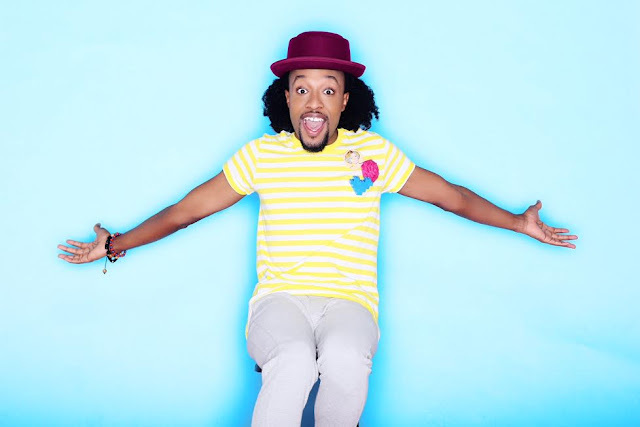 Wondaland's Deep Cotton Releases Visual for their Jam "Let's Get Caught"
Janelle Monae and her Wondaland crew have dropped some real jams in recent months. They are coming in and taking over your radio, and I for one welcome it. It's refreshing! Every artist on the team has a unique sound and offering that they bring to the table. This is evident with one listen to their EP, The Eephus. The team is super talented. 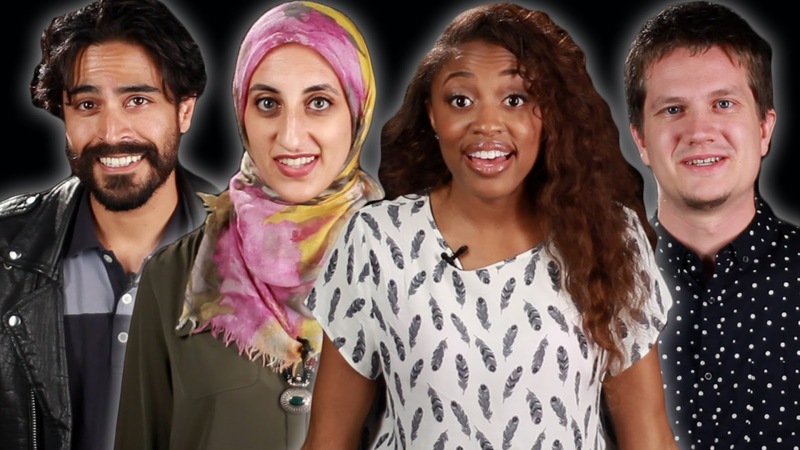 This super cool video from the Buzzfeed staff is on time! In the wake of the story of 14 year old Ahmed Mohamed's arrest for being smart, Muslim, and brown.. some of us need a friendly reminder of what all Muslims are not. We need a reminder that our brothers and sisters who are Muslim are everyday people just like us, and that their faith doesn't make them terrorists or dangerous. My Spelman College Glee Club experience was one I will never forget. Even though I left Glee for the Jazz Ensemble after a year, I still kept tabs on the incredible voices displayed during their rehearsals/performances. This artist was one of those voices. Jay Z's Shawn Carter Scholars + CC Sabathia's PitCCh In Foundations Donate School Supplies to NY Kids! 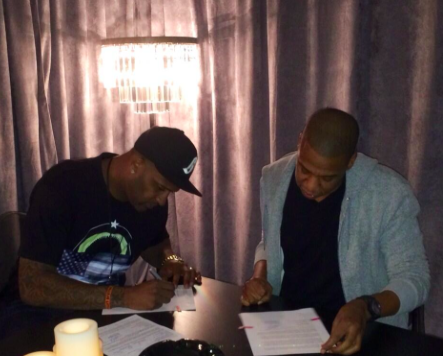 The above photo captures the moment last year when Yankees' pitcher CC Sabathia signed with Jay Z's Roc Nation Sports agency. Now it appears the two heavy hitters have collaborated on another venture. This time.. it's not about them or money...it's about the kids. The talk of the night has without a doubt been Beyonce's performance tonight at the Made in America Festival. Covering most of her hit songs, the QUEEN performer delivered one of the best live shows we've ever gotten from her.. and that's a task. You guys know that I love this chic. She's my friend and my fave! She's no stranger to this site because she's been so consistent with quality music that we can all get into. This time is no different. 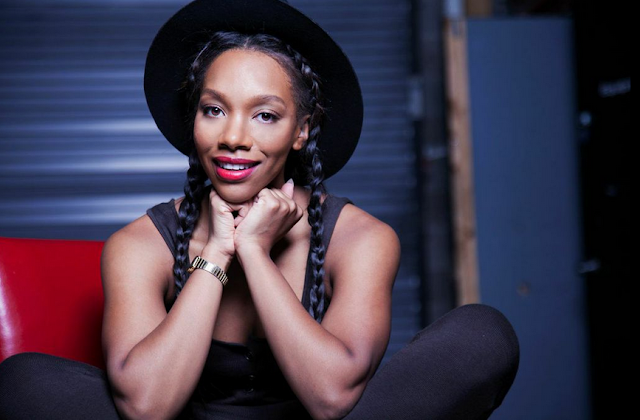 India Shawn is teaming up with one of the hottest movements out of Atlanta.. the WERC crew for a project they're calling the RE-WERC. Now, you may not know who all of the members are, but if you're about that social life here in Atlanta you know that the WERC team is definitely the new wave. 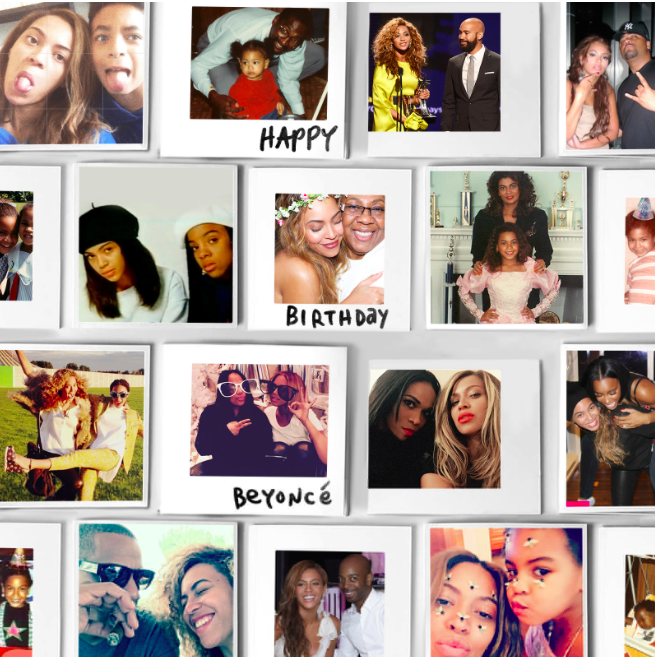 Beyonce's Family Dedicated Songs to Her for Her Birthday Tribute! I Love Blue's Pick! Yesterday was a holiday for many people. It was the birthday of King Bey, and everyone knows that Bey Day is a cause for celebration. Beyonce is easily the best performer of our time, and she's loved by many. Her birthday every year is a time for people to show her (more than usual) that they truly dig her as a person and as an artist. This year, Tidal did a cute little blog dedicated to Bey. They had her family members share a song that reminds them of their relationship with her. Everyone from her parents to little Blue Ivy dedicated something sweet to Beyonce on her big day. Some of the songs bring back memories of fun times Bey shared with them. Some of the songs connect on a deeper and more emotional level. This was a cute idea because songs often can relay feelings better than we can. I'm sure Bey had a beautiful birthday, and I know this tribute had something to do with it. 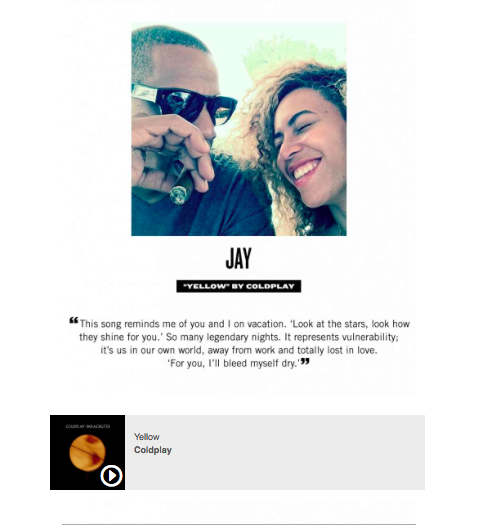 Check out the song dedications to Beyonce below. Of course I love Jay's the most. He loves his bae! Happy Birthday Beyonce!